CT: Monarch Book Company. Good. 1964. First Edition. Paperback. Pages are clean and unmarked, all intact other than few pages at rear partially loose bottom edge, light age tanning to interior. Cover has scuffing, light creasing and moderate edge/corner wear. In the past few months, 18 Terran ships had vanished from the galaxy. Lieutenant Ted Narly of the Terran Defense Corps discovered the cause: a new totalitarian empire of Deotians, determined to take revenge for their defeat in the Great Wars thirty years before. It was up to him to save mankind from destruction but what could one man do against a hate-filled enemy bent on mastery of the universe? (80os,5-18) ; 12mo 7" - 7½" tall; 126 pages . CT: Fawcett Crest. Very Good. 1962. First Edition. Paperback. Pages clean and intact, no markings. Age tanning to page edges and inside covers. Covers have light edge and corner wear, scuffing and a few creases, small edge tear to rear cover and spine bottom. (125os,0814) ; 12mo 7" - 7½" tall; 205 pages; (125os,0814) . New York, NY: Daw Books. Very Good. 1972. Sixth Printing. Softcover. 0879970308 . Cover has light to moderate edge/corner wear, no spine crease, age tanning and light soiling to rear. Pages are all intact and clean other than small ink marking on first page, age tanning to page edges and inside covers. On Earth life held for him the fate of a recluse - confined to daydreams and the lore of ancient wonders but apparently destined never to share them - until the day he found the formula that enabled him to cross interstellar space..... (95os,0514) ; 12mo 7" - 7½" tall; 144 pages . New York: Daw Books. Very Good. 1973. First Edition; First Printing. Softcover. Cover has light edge and corner wear, a few light creases, light soiling upper edge of pages. Pages clean and intact other than previous owner's name in ink inside cover. Age tanning to page edges and inside covers. (95os,0514) ; 12mo 7" - 7½" tall . UK: Panther Books. Near Fine. 1977. First Edition. Softcover. 0586043365 . Panther books 1977, 1st in this edition. Very nice condition, clean and unmarked, pages all intact. Cover has a slight spine crease and very light corner wear, light scuffing to rear. ; 12mo 7" - 7½" tall; TIME BOMB - Jules and Yvette d'Alembert had faced challenges before - but rarely one as daunting as this. To them fell the perilous task of infiltrating a vicious conspiracy which threatened to destroy the Stanley dynasty and throw the whole of interstellar civilisation into chaos. Now, as rival candidates from all corners of the galaxy gather for the Progress, the two most daring space super-agents of all time go into action. For among the suitors competing to be consort to the royal heiress of the Empire of Earth, there is a traitor. And somewhere close to the Princess, a time bomb is ticking... (120os,0514) . CT: Fawcett Gold Medal. Very Good. 1951. Softcover. Copyright 1951, later reprint. Cover has light edge and corner wear, a few small creases, age tanning to covers and page edges. Pages are all intact and clean other than name written small on first endpage. A new dimension in science fiction by the author of the Travis McGee series. (130os,0514) ; 12mo 7" - 7½" tall; 175 pages . New York: Berkley Pub. Corp.. Very Good+. 1976. Fourteenth Printing. Softcover. 042504338x . Very good condition. Reprint, 1976 printing. Cover has light edge and corner wear, no spine crease, a few light corner creases. Pages clean and intact, with no markings. ; 12mo 7" - 7½" tall; "It was the most terrifying mutation ever! Somehow, despite centuries of careful genetic engineering, this embryo had acquired both forbidden genes: intelligence and fertility. It was a monster ..." [90-osl] (0514) . Ace Books. Very Good. 1968. Softcover. Cover has light wear to edges/corners, one tiny taped tear upper spine, spine slightly cocked forward. Pages clean and intact, age tanning inside covers and page edges; 12mo 7" - 7½" tall; What was the strange impetus that drove a group of four widely different humans to embark on a fear-filled journey across a forbidden sea to a legendary land? This was Earth still, but the Earth of a future terribly changed after a planet-searing disaster, a planet of weird cults, mutated beasts, and people who were not always entirely human. As for the four who made up that questing party, they included a woman who was either a goddess, a witch, or both; a four-armed boy whose humanity was open to question; and two more men with equally "wild" talents. The story of their voyage, of the power-wielding "jewels" they sought, of the atomic and post-atomic terrors they encountered, is a remarkable science-fiction odyssey of the days to come. (95os,0514) . Wizards of the Coast. Very Good+. 2005. First Printing. Softcover. 0786938196 . Very good condition. Pages clean and intact, no markings other than bookstore stamp on first endpage. Cover has very light edge wear and a little edge rubbing along spine. 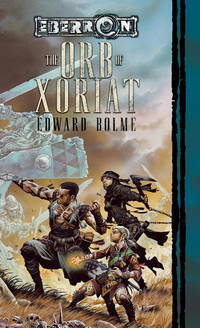 The Orb of Xoriat continues the story line in the Eberron series that focuses on war-torn souls who have known nothing but a world in chaos. This is the second book in the War-Torn series, following The Crimson Talisman. In the aftermath of the Last War, Teron, a monk trained for war, is the last of his Order. Now he is on a quest to find a powerful weapon that might set the world at war again. (162not,713) ; The War-Torn; 12mo 7" - 7½" tall; 310 pages . Avon Books. Very Good. 1991. First Printing. Softcover. 0380761920 . 1st printing. Pages clean and intact, no markings other than bookstore stamp inside front cover, light age tanning to interior. Cover has light edge wear, edge rubbing, light scuffing. Mutants Amok series, #4. 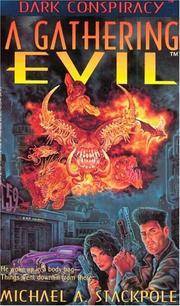 A mutant nuclear nightmare threatens to transform the Earth into a toxic wasteland. Can Jack Bender and his courageous rebel band stop the madness? (110os,713) ; 12mo 7" - 7½" tall . New York, N.Y.: Bard / Avon Books. Very Good. 1982. First Edition. Softcover. 0380574063 . Translated from the Polish. Intro by Michael Kandel. 1st Bard printing. Pages clean and intact, no markings other than two bookstore stamps near front. Light age tanning to interior. Cover has light edge/corner wear, scuffing and light spine crease. Electronic escapes in the lands of tomorrow. (145noto,713) ; 12mo 7" - 7½" tall; 239 pages . New York: Dell. Very Good. 1984. First Edition. Softcover. 0440181070 . Pages clean and intact, no markings, age tanning to pages and inside covers. Cover has scuffing, light edgewear/edge rubbing and light creasing. "On the wasted highways of post-holocaust America, he ran a savage gauntlet for survival....and revenge" (95os713) ; 12mo 7" - 7½" tall; 176 pages . New York: Ballantine Books. Near Fine. 1996. First Edition; First Printing. Softcover. 0345409531 . Excellent condition, pages clean and tight, no markings. Cover has slight cornerwear and slight crease on spine. 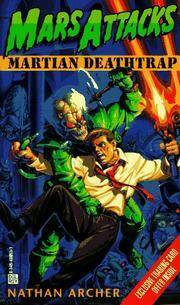 MARTIAN DEATHTRAP pits a desperate band of human defenders against a merciless Martian Death Squad. The battleground is a huge mansion filled with a labyrinth of secret passages with giant insects--and certain death-- lurking outside. For the Martians, the mission is to secure the captured ground by whatever means necessary. For the humans, the goal is to beat the odds and simplysurvive . . . (142noto) ; 12mo 7" - 7½" tall . Archway Paperback. Very Good+. 1980. Fourth Printing. Softcover. 0671632329 . Very nice condition, pages clean and unmarked. Cover has a few light creases and light scuffing. Illustrated with stills from the television series created by Gene Roddenberry. (os) ; 12mo 7" - 7½" tall . Wisconsin: TSR. Good. 1996. First Edition. Softcover. 0786904933 . Pages all intact and clean, a few small corner creases, bookstore stamp inside front cover. Cover has moderate edge/corner wear, light creasing and light corner curling. (155noto) ; 12mo 7" - 7½" tall . IL: GDW Games. Very Good. 1991. First Edition. Softcover. 1558780920 . Pages clean and intact, bookstore stamp inside front cover. Cover has moderate wear to edges and corners, light corner curling, tiny peel to one upper corner, no spine creasing. ; Dark Conspiracy; 12mo 7" - 7½" tall; 327 pages; Review: "Excellent.....Suspenseful, creative, and fast-paced, this book is wonderful. The chartacters are inventively developed and the story is engaging to the very last word." (235os? ) . Pocket Books. Very Good+. 1988. First Edition. Softcover. 0671735551 . Clean and tight pages, no markings. Cover has light wear to corners and light creasing to spine. (150-noto) ; Star Trek The Next Generation, No 3; 12mo 7" - 7½" tall . Ace Books. Good. 1973. Third Printing. Softcover. B000CEBH3I . Pages are clean and intact, age tanning to pages and inside covers. Cover has light to moderate edgewear, several small creases, small tear spine bottom, age tanning and a small light stain on bottom edge. Tarzan sets out with Jason Gridley to rescue David Innes, imprisoned in a Korsar dungeon in fabled Pellucidar, the world within a world, lit by its own sun deep under the Earth's crust.... (140-osl) ; 12mo 7" - 7½" tall . Avon Books. Good. 1969. First Edition. Softcover. Cover has small tears to spine ends and a few creases, age tanning to pages and inside covers. Name written on first endpage and light stamp at rear of book. A light stain affects bottom edge of first several pages. Pages otherwise clean, none are loose. Far away in a time we'll never know, a barbaric world is saved by a revelation from the 20th century. ; 12mo 7" - 7½" tall; (*lower shipping avail to all locations ) 125-osl . Bantam Books. Very Good. 1986. Mass Market Paperbac. 055325698x . Pages clean and tight, no markings, age tanning to page edges and inside covers. Cover has light edge and corner wear, light scuffing, crease on spine. 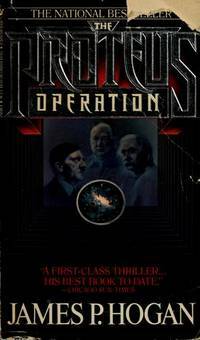 When malcontents from a utopian twenty-first century use their time gate to transform Hitler into an invincible conqueror, a band of freedom-fighting Americans launches the Proteus project and builds a second time gate. [210-noto] ; 12mo 7" - 7½" tall; 407 pages .